Heroes in Heels is a message for today's women who, whether trying to balance everyday demands in five- inch stilettos or racing around town in worn out athletic shoes, squander way-too-many years feeling overwhelmed, unfulfilled, restless, confused, and disappointed. Imagine waking up every morning fully alive, with gratitude in your heart, inspired and excited to embrace your day. Imagine how it would feel to place your head on the pillow every night completely fulfilled, celebrating a sense of purpose and passion. Heroes in Heels delivers a fresh approach to create the fulfilling life you've always dreamed of living. Through a simple daily process that takes just minutes a day, you will enjoy personal heartfelt stories, inspirational quotes, positive affirmations, and brief journal entries. These key elements are the natural building blocks which provide the foundation to living the magnificent and rewarding life you deserve. So what are you waiting for? Come, join in a truly unique and magical 30-day journey of learning the difference between searching for the meaning of life, and creating it for yourself. This one of a kind gift keeps on giving as each bag is passed on from woman to woman. 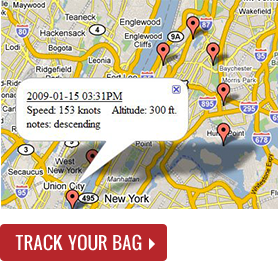 What makes this bag so extraordinary and distinct, is that each bag comes with its own tracking number. The recipient of the bag is able to see how many women's lives have been touched and connected through that one bag. Just type in your tracking number here on the site, and you will be directed to information about your own personal bag. Simply fill in your name, city, wine, and book received– and watch the many lives your bag has touched, how much wisdom has been shared through books, how many fun and interesting wines have been discovered, and how many miles your bag has traveled. Continue checking back to our site to see how many lives your bag has touched! Wine and books are both fabulous gifts that take a lot of thought and love. Both are affordable, and they provide hours of enjoyment and discovery! Wrap them up in a beautifully handcrafted gift bag that connects and empowers women's lives, and you will have given a gift that is memorable, heartfelt, unique, and very special. It doesn't matter if the occasion is formal or informal; these RED gift bags are guaranteed to be a hit! The Heroes in RED Heels Wine/Book Gift Bag - Empowering women's lives one bag and book at a time! Introducing our New, Heroes in RED Heels Gift Bag! Fill this beautiful and unique "traveling" Wine and Book Bag with a copy of our Heroes in Heels Book (or another special book you love) and a favorite bottle of wine... and give it to that special Hero in Heels in your life! Already received and passed on The Bag? Is Heroes In Heels For Me? You commonly feel guilt for all the things you "didn't do"
You dream of what your life will be "someday"
"Heroes in Heels is an extraordinary book that will inspire you during a 30-day journey to uncover your essential, true self. This beautifully written, intelligent book will help women break the patterns of inauthentic living and empower them to support each other in a whole new way."